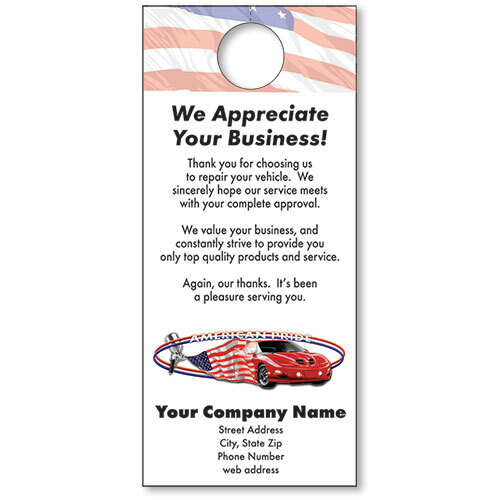 Hang tags are a terrific low-cost way to communicate with your customers. They offer valuable information in a thoughtful manner and encourage repeat business. To order select any of the full-color hang tag designs shown and a message - that way you get the design of your choice with the message you want for no extra charge! Allow 2 days for printing after final proof approval.